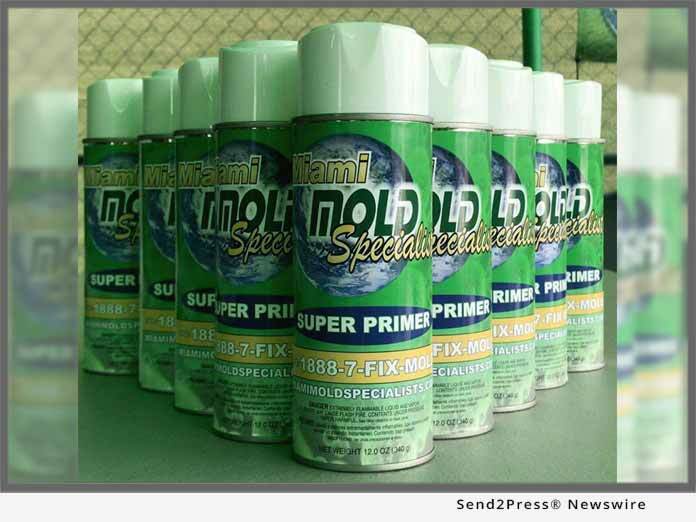 South Florida based indoor environmental services and mold removal company, Miami Mold Specialists, releases innovative line of aerosol based mold removal, mold inhibiting, and mold preventative products. According to Miami Mold Specialists website, "Miami Mold Specialist's new line of aerosol based mold removal and mold prevention products offer the latest bio-technological advancements to safely and effectively eliminate toxic mold, prevent mold growth, inhibit future potential mold and mildew outbreaks, and mitigates that musty odor smell typically associated with poor ventilation, mildew, and mold growth." * Aseptic+ - Multi-purpose, hospital grade disinfectant solution. * plus, a wide range of specialized solutions for mold removal, mold prevention, disinfecting, odor removal, static removal, and solar powered attic and soffit fans. South Florida's Premier Indoor Air Quality, Environmental Services, and Mold Removal Service Provider- Miami Mold Specialist: High Tech and Eco Friendly Indoor Air Quality, Mold Assessments and Environmental Consulting, 3rd Party "Conflict Free" Mold Testing, Mold Removal and Mold Remediation, Mold Prevention, Radon Testing, Water Damage Control, and Water Protection and Purification Services by Miami Mold Specialist.